As part of our mission to help promote the city’s urban art culture we work with an extensive network of private and public educational bodies, organising tours, workshops and talks for local and international students. We also work with social organisations to help promote the scene and engage people outside of our traditional reach. 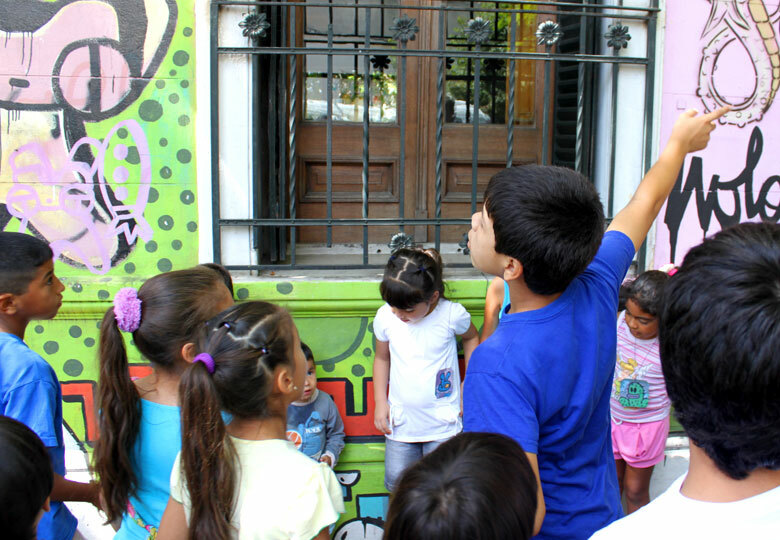 Centro Conviven is community centre in Ciudad Oculta, which supports families and children who live in the socially and economically deprived neighbourhood. 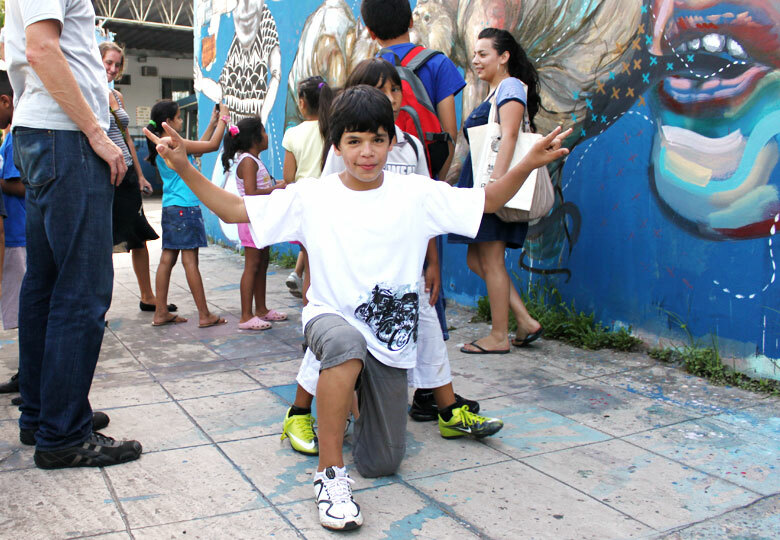 The centre runs activities for the children, including trips outside of their neighbourhood aimed at showing them different sides of the city they live in. 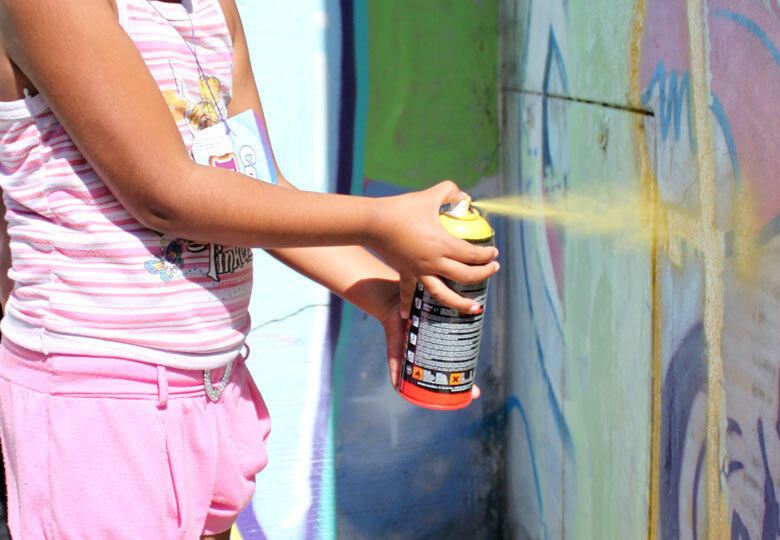 We were proud to collaborate with Centro Conviven by creating a special tour and workshop for the children, introducing them to urban art and showing them new techniques to paint and express themselves. We are always happy to work with educational institutions and social organisations who are interested in learning more about the scene and engaging with its artists. Please get in touch if you feel there are opportunities for us to collaborate.